The tonsils are two masses of tissue located at the back of the mouth. They are the two roundish structures that may be visualised by opening the mouth - if they are large they are quite easily seen. The tonsils contribute to part of our immune system. However if they start to cause health problems in the form of recurrent infections and/or upper airway obstruction, they may need to be removed. Our immune system is made up of other components that will maintain our immunity. Tonsillitis is defined as sore throat with fever and the possible requirement of antibiotics for recovery. The tonsils will look inflamed and may have a white or grey coating on it. The distinction is therefore made between tonsillitis (inflammation of the tonsils) and other causes of sore throat. It is important to make this distinction as it will impact on management. The other main presentation is that of an obstructive sleep pattern secondary to large and obstructive tonsils. 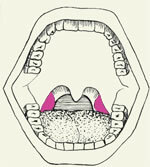 A tonsillectomy is the operation to remove the tonsils. It is indicated in patients who suffer from recurrent acute tonsillitis and who have demonstrated frequency of episodes as well as longevity of this particular problem. Children may give a history of increased time off school with adults having time off work. Tonsillectomy is also indicated in patients with upper airway obstructive symptoms as manifest by loud snoring, apnoeic episodes and sleep fragmentation. Some children with large, obstructive tonsils may also demonstrate choking and gagging while eating. In this practice a tonsillectomy is done as an overnight stay in hospital. A general anaesthetic is required. The tonsils are removed through the mouth and no external incisions are made. 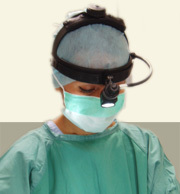 An adenoidectomy may also be necessary based on the history. The procedure, risks and benefits of one or both parts of the operation will be discussed in full during your consultation with Dr Para.